Bali will forever be one of my favourite destinations in the world. One of the many thousands of Indonesia, Bali oozes character, charm and beauty. I fell in love with Bali instantly, and it’s easy for couples to do the same. Keep reading to discover 35 romantic things to do in Bali. Is Bali good for couples? Of course it is. There is a reason why it’s one of the top honeymoon destinations in the world. 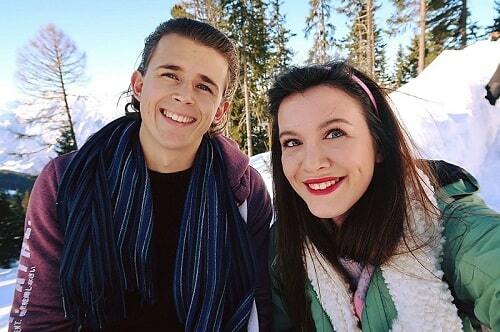 It gives you everything you could possibly want as a couple. But what I really love about Bali for couples is the great value it is. Yes, it may be a little expensive to get out to Bali (depending on where you are flying from), but once you get there, you can get 5 star accommodation, your own private pools, your own private beaches, everything romantic you can think of, for a really cheap price. Bali is quite a diverse island and there is truly something to suit every type of couple. If you love to party, then you may find you love Kuta (Sky garden I love you). Or, if you love the idea of relaxing whilst surrounded by rice paddies, then hello Canguu. OR, want to be surrounded by just fields of green and stunning nature, then rent your own property in Ubud. Those famous “honeymoon destinations” that you see all over Instagram are also possible, and you’ll typically find them away from the more tourist side of Bali. 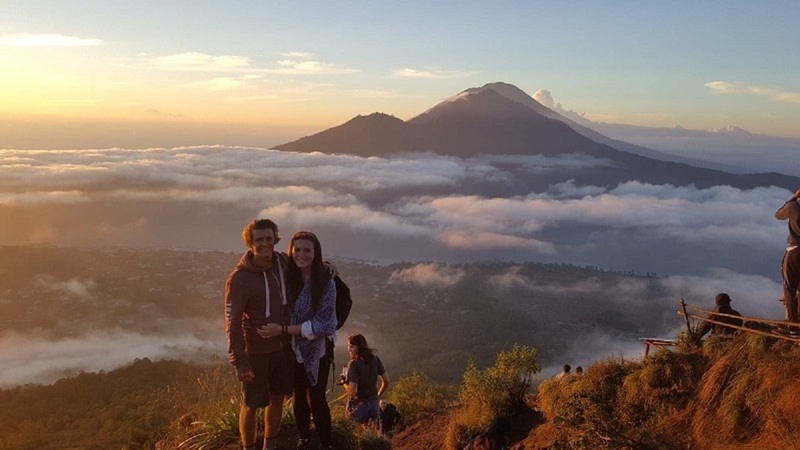 I spend 3 weeks living in Bali, with my boyfriend and another couple, so I know quite a few romantic spots and romantic things to do in Bali. But, before we get into that, let’s go over some technical aspects. PEAK season in Bali is June, July, August and the start of September. You’ll typically find flights are more expensive around this time of year. But it’s peak for a reason, the weather is safe to visit. For the best deals, book in advance by at least 3-4 months and I always use Skyscanner to check my flights. When we travelled around July time it cost around $500 return. There are many airlines who fly to Bali from the UK. We flew with Emirates and it was lovely. It had a stop in Dubai. If you find yourself backpacking Southeast Asia before you visit Bali. (I recommend Thailand, Vietnam & Cambodia at the very least), then it’s always a good idea to make your way to Bangkok for direct flights to Bali. It doesn’t take very long and the prices are quite competitive because Bangkok is a central hub and has lots of airlines flying to and from. Remember Bali has active volcanoes, and as shown in the past, if they produce ash or dust, then it can halt flights into and out of Bali. Bare this in mind when booking and remember that airlines don’t typically cover you insurance wise for that type of occurrence because it’s so unpredictable. If you are coming from the capital of Indonesia (Java), then you can get cheap flights from there too. You can also get a ferry from Java to Bali and there is lots of information about that here. How long should I stay in Bali? I think 2 weeks is a perfect amount for couples. 1 week is too little, and 2 weeks is enough to do everything and experience everything Bali and the surrounding islands have to offer. If you are really stuck for time, then you could do 10 days, but I know you’ll want to have stayed longer once you get out there. But 2 weeks is a wonderful amount of time for a honeymoon. I would actually recommend staying somewhere more central to access the south and middle of Bali, then on your second week head up North to experience how secluded and beautiful it and the west of Bali is. We were there for 3 weeks, but we were working at the same time, so that’s why we needed longer. When we return it will probably be another 3 week trip, just because we love it so much! Okay, now for the part you lovers came for! The list of 35 romantic things to do in Bali. These 18 things are sure to leave any couple feeling loved and content. They aren’t in any particular order, just what I thought of first! This will forever be one of my fondest memories in Bali, and travelling in general. This was the best sunset I’ve ever seen to-date (2019). The atmosphere, and the setting just oozed romance. 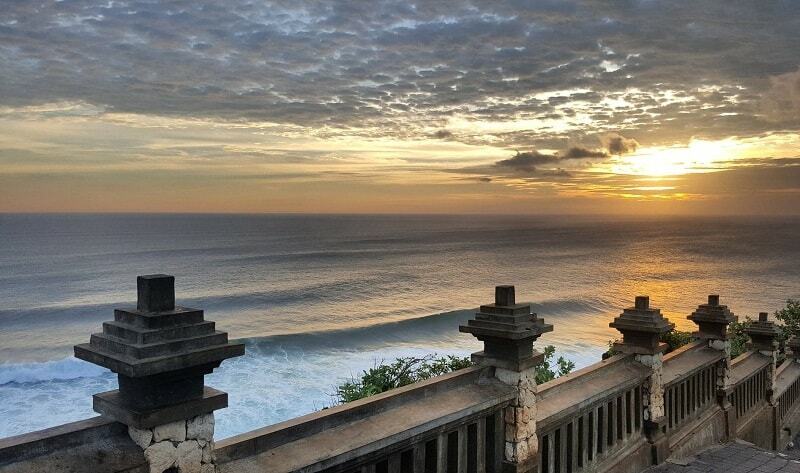 Uluwatu temple is situated on the sea, so you have the great sea to look out too along with the vast sky. There is no air pollution, nothing hiding the view and when you sit on the wall, with a Bintang (or soft drink) in hand, you will be amazed by the sunset that appears. It’s not guaranteed to be as amazing as the evening I was there. There can be off days of course, but you can check the weather before deciding to go, just in case. It’s a SUPER romantic setting, trust me. 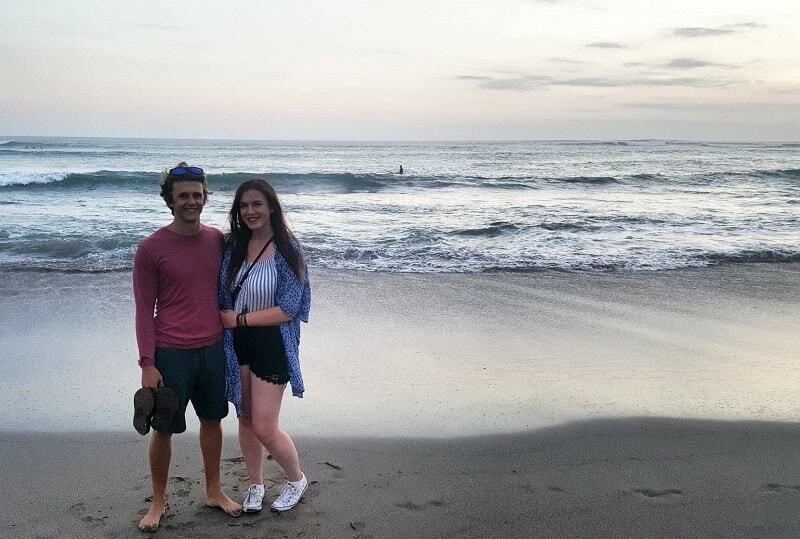 There are a lot of beautiful beaches to walk hand in hand together in Bali, but I have fond memories of this one. I remember walking late at night and it was only the light of the buildings to shine on the beach. The waves were crashing and the stars were shining bright. It was a very peaceful moment. The great thing about seminyak is that it’s filled with quirky, upmarket restaurants, so it’s a really good place for a date night. Dine by candlelight, then walk along the beach afterwards: bliss. 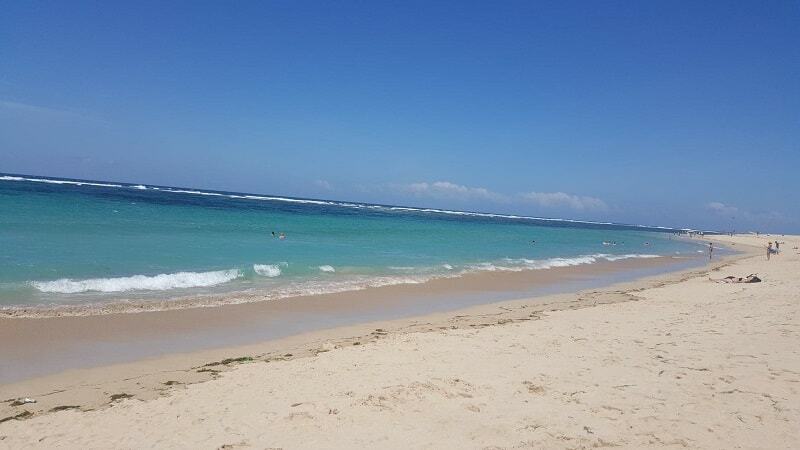 But, what this beach in Bali is really well known for is its watersports! They are also very cheap. But as you walk along the beach, you’ll have lots of people selling a variety of water activities, and one that is pretty cool is jet skiing. I think jet skiing together is quite romantic, especially if you’re the type of couples who seeks adrenaline. If jet skiing isn’t your thing, then you could parasail too. 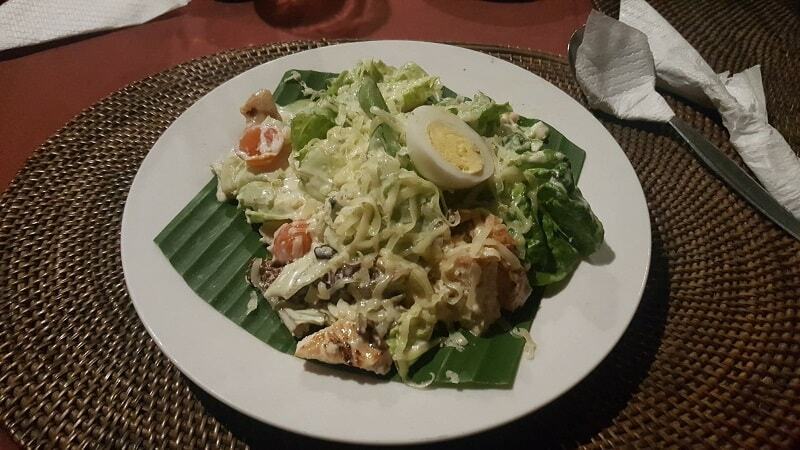 There are lots of nice restaurants on Nusa Dua to enjoy a delicious lunch, but they are more expensive than the average in Bali. Balangan beach is another beach that’s got the most amazing blue water. It’s great for swimming, but you go here for the surf. Obviously Bali has some amazing surf spots and thanks to lessons for around $3 and board rental just as cheap, it’s no wonder people love to surf here. If you’re into surfing, then hit up Balangan beach. It’s not a beginners beach, but it’s got beautiful views and great little beach huts serving up drinks and snacks. It’s also got super cheap sunbeds to relax after catching some waves. If you want to take a surf lesson together, then head to Kuta beach. Jimbaran is a couples beach. It gives off that vibe. 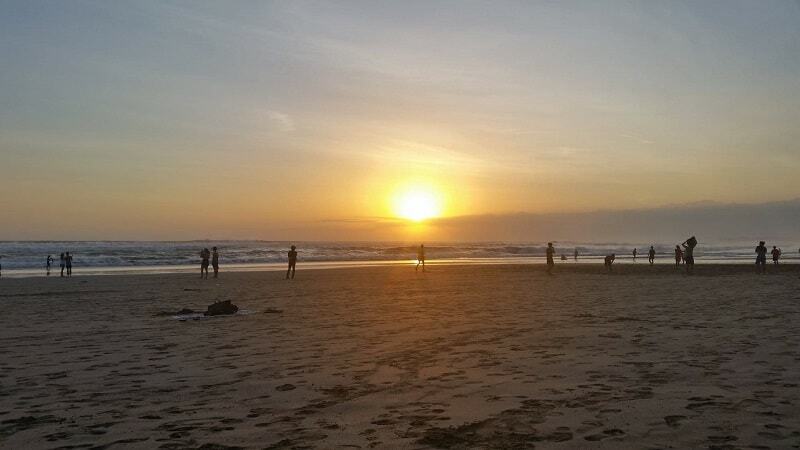 It’s actually quite quiet, there aren’t surfing waves as such and it’s just a really beautiful and clean beach. I’d say, pack a picnic, hop on your moped, drive there for the day and simply relax in each others company. 6. Get Wet and Wild at one of the worlds best water parks! If you like to have fun as a couple, then this is definitely on the list of romantic things to do in Bali. Bradley and I spent the whole day at this waterpark and it was brilliant. It’s voted the number 1 waterpark in Asia and it’s BRILLIANT! We laughed, screamed down slides, recorded our adventures on our GoPro, floated down the lazy river together then shared a pizza. Romance is different for everyone, and this is romantic to us. The best thing about the waterpark (apart from how clean, cheap and great fun it is? ), is the STAFF. The Balinese are some of the nicest people in the world, so imagine that x10 and that’s the staff at Waterbom Bali. You can find information here...and it turns out they do a 2 day ticket...well...I’d be getting that next time. Snorkelling is another romantic thing to do in Bali for couples who love something different. This island is located just a short 10 minute boat trip from the mainland of Bali and is part of the Menjangan National Marine Park. A trip here will grace you with some of the best coral reefs in all of Indonesia, and you’ll be swimming in those Instagram perfect clean turquoise waters. Expect to see some amazing varieties of tropical fish including everyone's favourites, Dory, Nemo and Marlin. Potato Head Beach Club is one of my favourite beach clubs and places in Bali in general. Firstly because it’s called potato head beach club, which is just brilliant, and secondly, it offers a luxurious experience with beautiful food and drinks, service and views. It tends to sell out, so I would book online when you know you want to go. You and your partner can dine and relax in style. 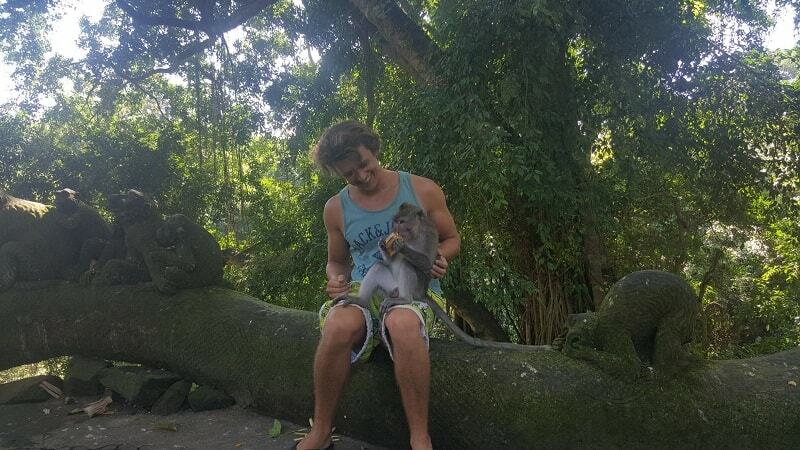 Another one of the romantic things to do in Bali is a trip to Monkey Forest. I was a little nervous about going here, because I’ve actually developed a fear of monkeys over the years. I think it’s because they are so unpredictable and their teeth are massive. Anyway, I went with Bradley anyway and it was a lot of fun! The forest itself is beautiful and a nice place to stroll. Then throw in the chance to have monkeys on your head whilst eating bananas, then you’ve got a weird romantic date! This is one of the best things to do in Bali, romantic or not. There are a range of both commercial and private boat operators providing romantic evening sunset cruises. Imagine being serenaded by musicians while sipping on a glass of champagne whilst eating fine food. This is a brilliant activities for those on their honeymoon who want an everlasting memory with lots of romance. Canggu is the hip and happening, bohoo, quirky, (every word associated with that), area of Bali. I love Canggu, mainly for it’s amazing coffee shops, and it’s quirky restaurants. If you want one of those famous fruit bowls (again a favourite on Instagram), then this is the place to find it. I think Canggu is a great day outing. You can start your day with brunch in one of the many cafes, then head for a spot of shopping. There are so many cute boutique shops, and they even do quirky markets around here too. Canggu is the shopping hot spot of Bali. Afterwards, head to the beach for a spot of sunbathing or surfing, then end your day at “Old Man’s”, the best bar in Canguu with the best sunset views, the best cocktail hour and the best music. Ooooooooh yes. When you are staying at one of the amazing hotels on offer for couples in Bali, then they will easily be able to arrange a private sunset dinner on the beach. Complete with romance, beauty and candlelight. This is the perfect way to celebrate those special moments, such as an anniversary, a honeymoon….or...even a proposal. Hiking might not be the most romantic thing to do for some couples, but others find physical adventure and activity to be great bonding experiences, and I agree. Anyway, the sunrise views from this volcano were unbelievably beautiful. I’ve always wanted to hike up a volcano, and the views will forever stay in my memory. It’s such a romantic moment and something I recommend all couples to do on a trip to Bali. Dolphins make everyone happy. They make people even happier when they’re in their natural habitat. Well, thankfully Bali presents you with a great opportunity to see dolphins on the northern border. Head to Lovina and book yourself in for a sunrise dolphin tour. These are most of the most beautiful rice paddies in the world. When visiting you can walk through them and explore different areas, but afterwards, I recommend you head to one of the restaurants that are located on the “side”. They overlook the rice terraces and its truly a breathtaking view and a very romantic moment. Enjoy some lunch with a glass of wine. One of the things I really loved about Bali is how damn cheap massages are. 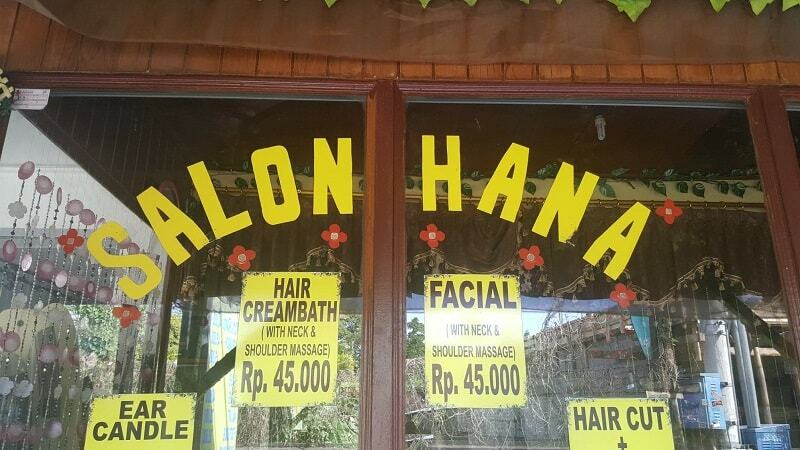 In Kuta, I could get a foot and leg massage and a pedicure for less than $4. HOW. But I did it often because its so cheap. There is also many opportunities for couples massages. If you have a nice hotel, you can usually arrange a beautiful couples massage with a view. But regardless of your setting, this is a great way to relax and unwind together. Bali is filled with beautiful waterfalls to discover and I think it’s quite romantic swimming in waterfalls together. I’ve listed some of my favourite waterfalls in Bali below. They’re all easily accessible by moped and you can swim in them. If you love discovering animals, seeing beautiful views and being among nature, then this is the day trip for you. With a picturesque mountain range, lush green forests, crystal clear blue water, and vast stretches of pristine beaches, it’s no wonder couples love visiting West Bali National Park. I haven’t been up to North/West Bali yet, but I have every intention to on my return. What’s good about this area is that it’s less touristy and more “made for couples”. You’ll probably find beaches are are secluded and feel like you’ve escaped to your very own little island. Visit Sanur (which is what I would call the family holiday area of Bali) and catch a fast boat from Sanur and escape the main island of Bali for a few days. Discover the smaller and exotic islands of Nusa Penida and Nusa Lembongan. Rent a scooter on the island and explore unknown places, magical beaches, and jungle surroundings. Discover Angel’s Billabong, or head somewhere secluded and uncover the amazing views found at Pantai Atuh Beach.Then visit the snorkel/scuba diving hub of Lembongan and snorkel the colourful reefs along the ocean. 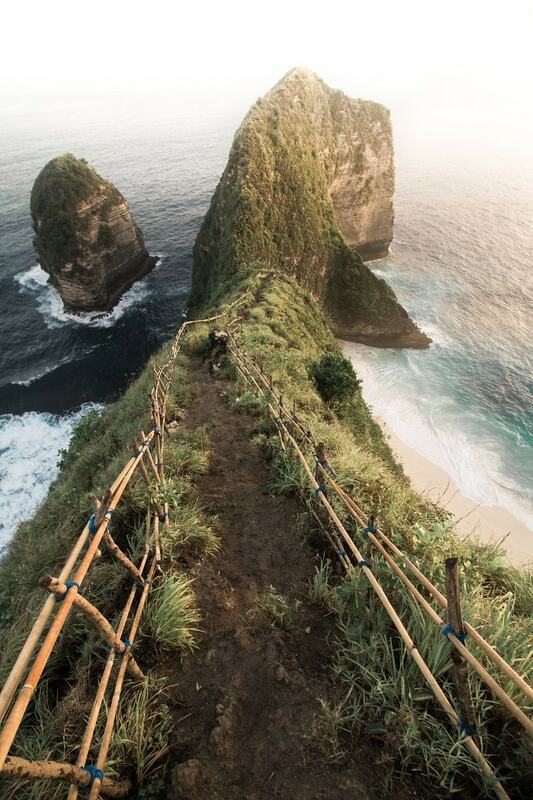 Head along the iconic yellow bridge to Nusa Ceningan for a romantic stroll and fall in love all over again. Helicopter tours are definitely one of the romantic things to do in Bali. Bali is filled with beautiful forest and beaches, so what better way to see them all than from above. Sweep your partner off of their feet (literally) and transport your romance to the skies with Air Bali. I’d arrange with a tour operator for a good price. Another great option for those on their honeymoon in Bali. So there you have it, 20 romantic things to do in Bali. I bet you’re getting excited now! 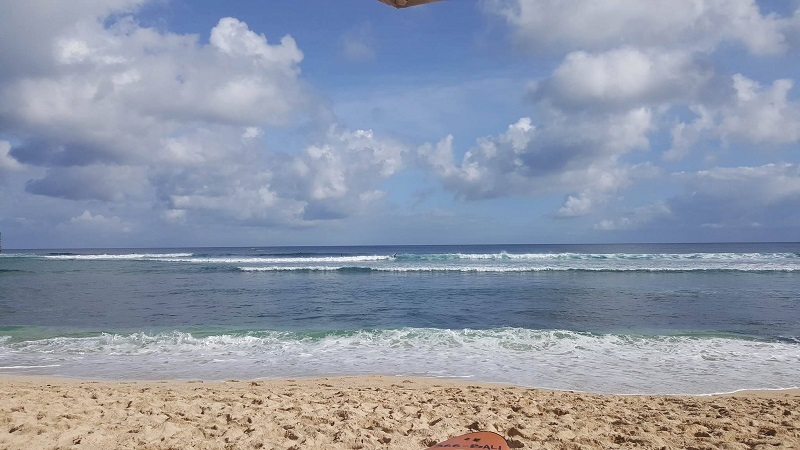 Well, before I finish, I thought I’d round up some advice on getting around Bali and some suggestions on where to stay (be prepared, they’re amazing). If you love horses, then you’re going to love this. This isn’t a typical equestrian centre, it’s attracted celebrities, Olympians and many from all across the world. It’s a 5 star rating so saddle up for a horse ride along the beach, just like they do in the movies. You’ll discover rice fields, villages, creeks and temples located right by the beach. Magical! Let’s face it, crowded beaches aren’t exactly romantic, but you can find your own hidden beach with your partner by escaping to Gunung Payung Beach. The beach is incredibly remote, so pack a picnic with some refreshing drinks, a book, some music and get ready for a romantic day by the beach together. Kamandalu is much more romantic than just its swing, but the tandem swing for two does make a perfect, romantic photo opportunity. You’re facing the jungles of Bali with nothing but greenery surrounding you. Afterwards grab a bite to eat at one of the fantastic resorts or take a boat ride and transport yourself to venice. Definitely one of the most romantic things to do in Bali. 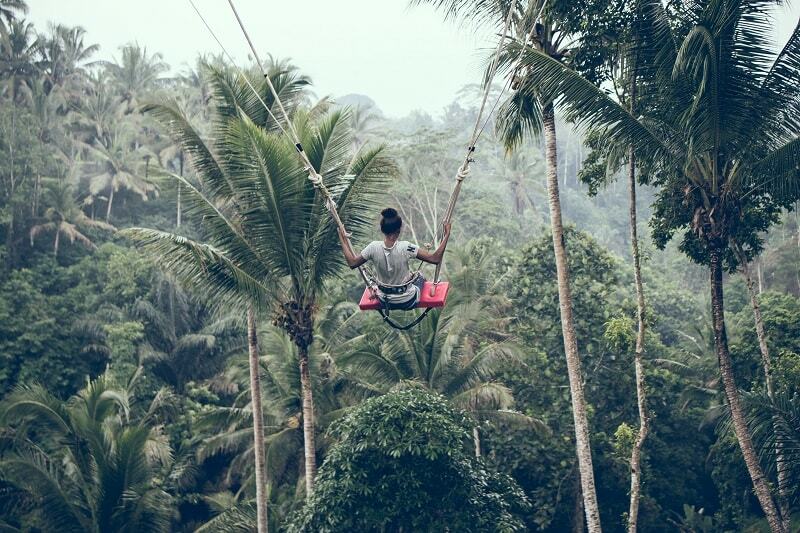 Bali swing is a company that takes you out to the jungle and gives you ample couples photo opportunities, including the chance to swing over the jungle solo, the romantic bed on the edge, 4 amazing stones perched over the edge with amazing views. They offer the chance for someone to take all your photos for $12 and you get to keep them all. Packages start at just $10 per day and includes your lunch and drinks. A great way to get some romantic pictures together to remember your trip. Find out more on the Bali Swing website. Or you can book a tour here. n the early 18th century the Dutch established coffee plantations on the volcanic islands of the East Indies. This Coffee Luwak Arabica coffee hails from the mystical island that is Bali. Discover the magic for yourself! I think cooking classes are actually super romantic. Cooking is a passionate affair and doing it with someone you love is fun! Rather than a group cooking class, there are many hotels in Bali, or even tour companies in Bali who will happily set up a private cooking class. You can head to the fabulous fruit and veg markets to pick up your ingredients then enjoy making a 3 course meal together. Enjoy with a glass of wine and good conversation. Want to catch some rapids on the biggest and longest river in Bali. Of course you do! Brad and I did River rafting in Croatia and it was a lot of fun. 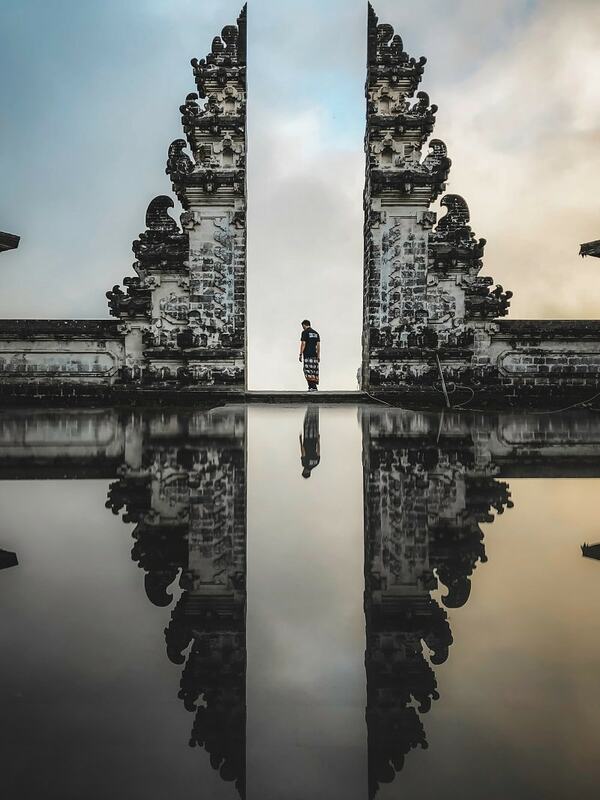 So, this has without doubt become one of the most Instagrammed photos of Bali in recent years. When I went, not so much. This temple is located in the East of Bali, so many people don’t bother going. 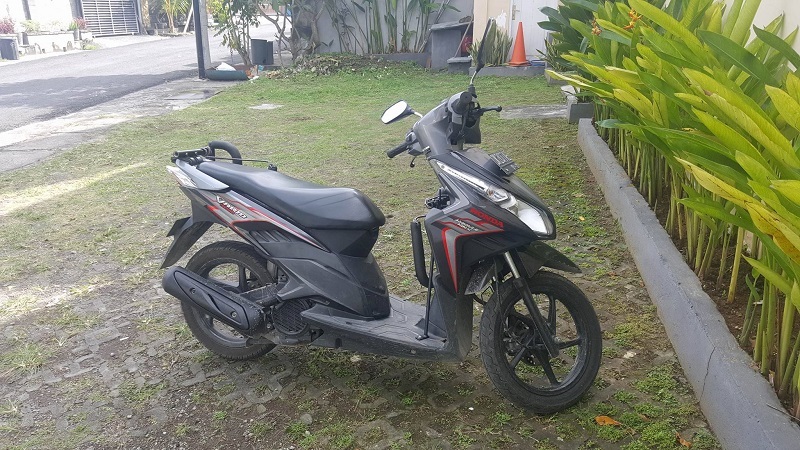 It’s 2.5 hours from Ubud and you can hire a driver or drive your own moped there. It’s the iconic photos of the gates that overlook the mountain and it brings amazing shots. There are other temples within it that are also very beautiful. PS some Instagram photos show “water” just below the temple gates, but this is photoshopped/a reflective sneaky lense is used! Check this post for more cool information on the experience. You can go with a tour too if you like ease. I haven't been here yet, so I haven't got a picture..but I will be back this year and get my own! And when I say amazing, I mean amazing. It’s one of the unique spots in Bali (which probably won’t be unique for very long actually), but this waterfall is something truly beautiful. The circular cliffs that surround it give you the feeling of being in a cave, while the open sky right from where the waterfall emerges, gives you the most beautiful view. As the sunlight falls on the glistening waterfall, itl creates a rainbow, which makes for an amazing, romantic moment and an awesome picture. It’s about 30 km from Ubud, so get an uber, driver or moped there yourself. Or you can stop on part of a tour. Hot air balloon rides are uber romantic in general, but then add Bali to the mix and it’s SUPER romantic. Witness breathtaking views over lush tropical forests of Ubud to holy Mount Agung on the eastern horizon. When you book with this tour, it includes a romantic breakfast, afternoon tea, or dinner, depending on when you go. It’s not expensive either and you ovi need to book with a tour because you can’t go up there on your own! Yes, elephants. Enjoy a candlelit dinner at Gayo Restaurant overlooking the Elephant Park, watch amazing dance shows by costumed performers and more. (The elephants aren’t dancing btw) It’s a really cool fire dance! Quite a romantic thing to do in Bali for couples! When I first seen this, I thought, “What?!”. Yes, it’s possible to put a suit on with a large bobble for breathing and literally walk under water together. You’ll be amongst the fishes and sea life and I am sure it’s an experience like no other. Definitely a romantic activity for couples who are more adventurous! 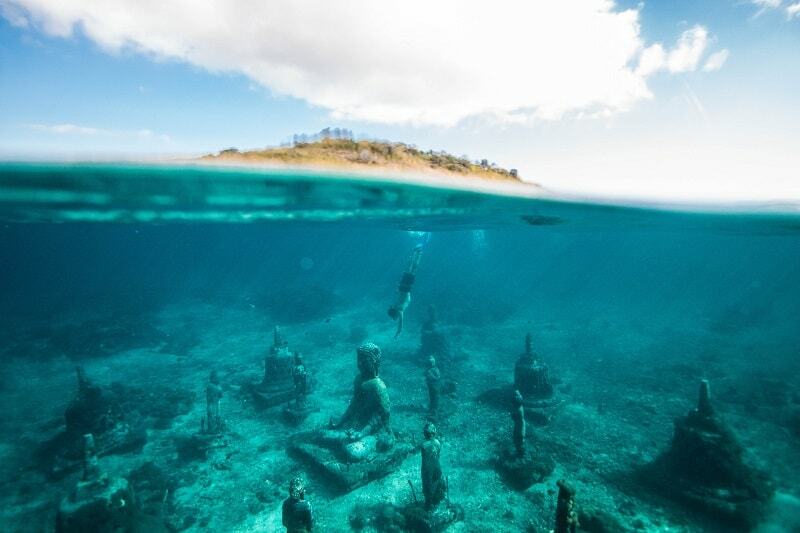 Get yourself on a submarine with your loved one and explore the underwater world of Bali (which is rarely visited). You will have a pilot on board who will tell you everything you need to know and you’ll dive 300 feet underwater. You’ll see amazing sea life and fish and stunning corals all around you. Perfect for those who want to see underwater life but don’t like the idea of snorkelling or scuba diving. Is there anything quite as indulgent and romantic as chocolate? Of course not! Chocolate has always been a traditional symbol of love and you visit the Pod chocolate factory to harvest, roast and crush your own chocolate into various shapes. You’ll get to bring your very own chocolate treats for each other home. Wherever there are volcanoes, you’ll find wonderful hot springs, and Bali is no different. One of my favourite is at the Tegal Wangi Beach. It’s got a hot spring, which is basically like a private, natural jacuzzi with a stunning view of the ocean. It looks breathtaking and I can’t imagine anything more romantic than relaxing with your loved one with that view. Bring a couple of drinks with you and you’ve got the perfect set up. Don’t forget to bring all your rubbish with you when you leave! So there you have it, I’ve listed 35 amazingly romantic things to do in Bali. These things are perfect for all couples, whether you’re simply travelling the world together, taking a holiday, celebrating an anniversary or on your amazing honeymoon. I also think there is a lovely selection of thing to do here that suit various styles of couples, whether you’re adventours, love to relax to love to try new things together. That’s the amazing thing about Bali, is that it’s got something to suit every single person, and it’s got things to do that will cater to all budgets. So if you’re on a tight budget, you’ll have just as a romantic time as those who can splash the cash! Bali is quite a small island, so it’s easy enough to navigate. 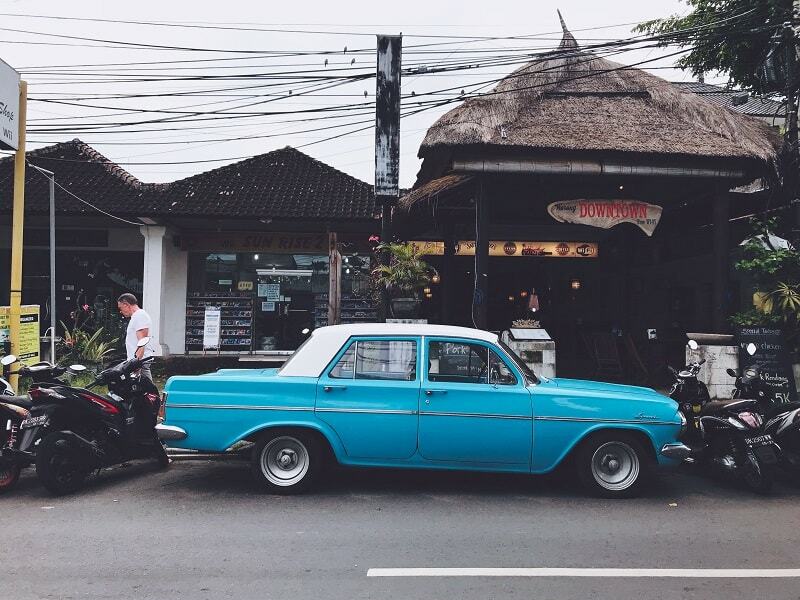 I’ve actually done a whole post on the best ways to get around Bali, but above all, I would consider two main options. We rented a moped for less than $2 a day for 3 weeks, and it was the easiest way to get around the whole island. It may seem a little daunting at first, but once you get the hang of it, you’ll be driving like a local in no time. Yes, the local taxi drivers don’t like Uber, but Uber is cheap, safe and very convenient. I would use an Uber driver for longer drives, or if you’re drinking and cannot (DO NOT) drive a moped back. If you like your Uber driver you can ask him about hiring him for a day or so if you’re taking big trips to the north of Bali. Bali has some amazing honeymoon destinations and romantic spots for couples. It’s very difficult for me to choose specific places. Everything has its own appeal, and I’ve also got a guide on where to stay with some recommendations here. But, if we are talking romance, then I’m going to suggest these 4 outrageously romantic places in Bali. PS, if you don’t fancy staying in a 5 star resort, you can rent out your own villa in Bali on airbnb for an excellent price. Some of the villas are unbelievable. Private pools, some private chefs, some surrounded by jungle and rice paddies, there is truly something for every type of couple on there. This is one of the nicest resorts I have ever seen in my life. It was literally built for couples. Accommodation comes in luxury (and I mean luxury) air conditioned tents and it’s located on the beach with the bluest of blue waters surrounding you. You can opt for your own private cliff tent villa that has its own infinity pool, yes, all to yourself. It’s unbelievable and looks like the perfect setting for a wedding ceremony, or even to renew your vows. This is 5 star that looks beyond 5 star. You can check prices here. Ubud is all about the tropic and this 5 star resort is no different. Immersed in jungle beauty, offering free daily yoga classes, a stunning outdoor infinity pool and the most beautifully decorated traditional Balinese bedrooms, this is a top choice for couples looking for hotels in Ubud. They also offer lots of little perks, like, free daily mini bar, free chocolates daily, an espresso machine, free yoga, afternoon tea and much more. It’s thing like that, that truly make a hotel special. You’re going to feel like a celebrity. Located in Seminyak, one of my favourite locations for couples, this is a fantastically luxurious villa. Perfect if you want your own privacy. You’ve even got your own rooftop sunlounger area for the ultimate relaxing. I really have saved the best for last. If you want them amazing sunsets I was talking about in point 1 on the list of romantic things to do in Bali...well..you will get them here, every single night. Offering breathtaking views, a stunning infinity pool, a gorgeous outdoor hot tub, your own hot tub in your room with amazing views, a complimentary 30-minute photoshoot by resort photographer with a printed keepsake...and SO MUCH MORE. Take me with you, I beg of you. This place is unbelievable, I no longer have any words. This is without doubt one of the most romantic spots in Bali. Okay well there you have it! My list of 35 romantic things to do in Bali, how to get there, when to go, an where to stay if your looking for the most amazing couples experience. 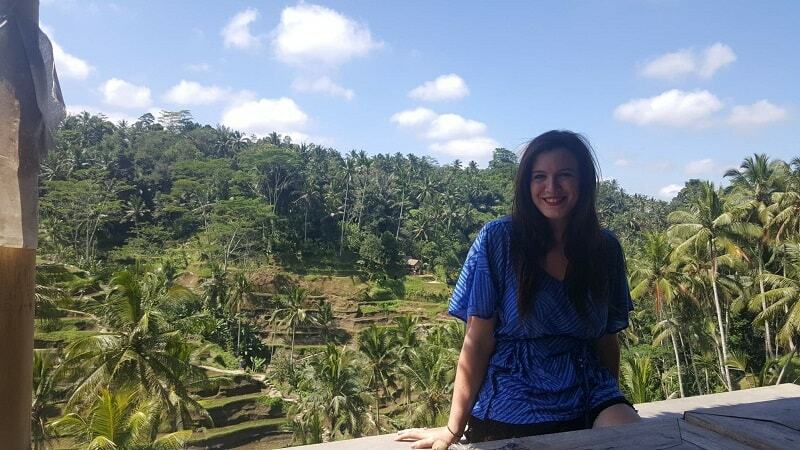 I hope you’ve enjoyed this post and I have one final warning, you will struggle to leave Bali!